In the Middle, Somewhat Elevated by Edita Raušerova, Eun-Ji Ha, Johan Pakkanen and Tuukka Piitulainen. 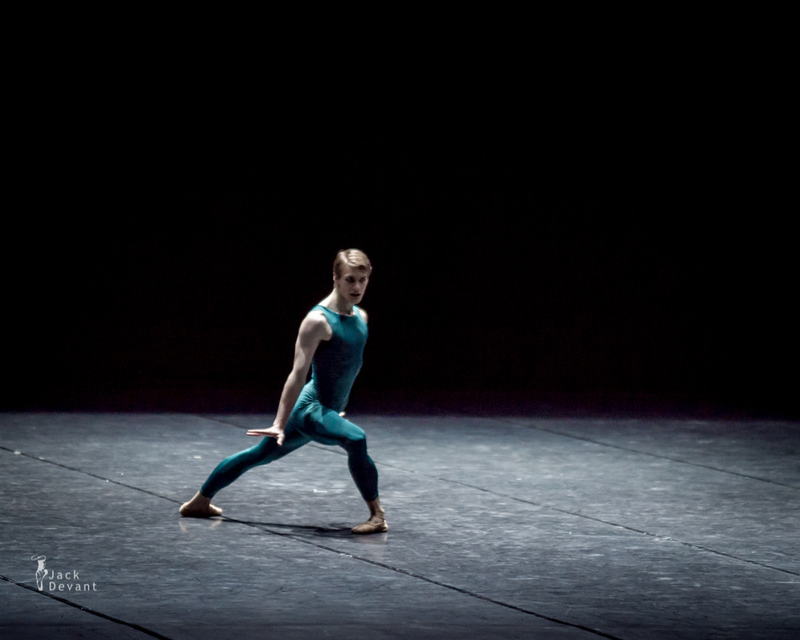 Choreography by William Forsythe, music by Thom Willems. Kenneth and Friends Gala 2014 at Finnish National Opera. Shot on 24.05.2014. Edita Raušerova is principal dancer with Finnish National Ballet. She got education at Brno Dance Conservatory 1998-2004 and Prague Dance Conservatory 2004-2006. Edita started dancing in Prague National Ballet 2006-2012, soloist dancer 2009-2011, principal dancer 2011-2012 and continued with Finnish National Ballet 2012-, as principal dancer 2013-. Eun-Ji Ha is an Étoile at Finnish National Opera. Education: Korean National University of Arts 2001-2006. Engagements: Finnish National Ballet 2007-, principal dancer 2009-13, Étoile 2013-; Universal Ballet Company 2006-2007. Nevada Ballet Theatre 2003-2004. William Forsythe (born December 30, 1949 in New York City) is an American dancer and choreographer resident in Frankfurt am Main in Hessen. 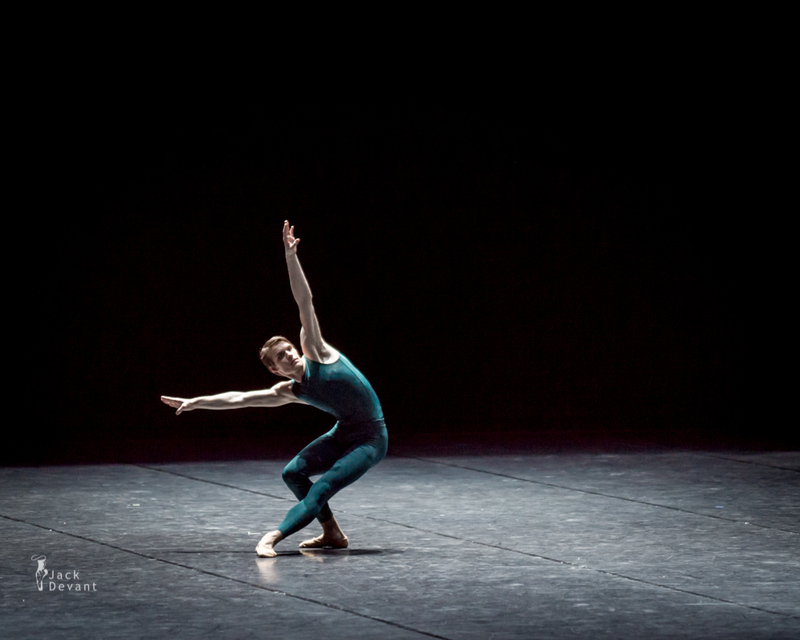 He is known internationally for his work with the Ballet Frankfurt (1984–2004) and The Forsythe Company (2005–present). Recognized for the integration of ballet and visual arts, his vision of choreography as an organizational practice has inspired him to produce numerous Installations, Films, and Web based knowledge creation. Forsythe began his professional career as an apprentice with the Joffrey Ballet in 1971 before following his then wife, Eileen Brady, to join the Stuttgart Ballet in 1973. Encouraged by the director, Marcia Haydée, Forsythe began choreographing works for the company and was appointed Resident Choreographer in 1976. During the next seven years he created original works for the Stuttgart Ensemble, and for ballet companies in Munich, The Hague, London, Basel, Berlin, Frankfurt am Main, Paris, New York, and San Francisco. In 1984 he was appointed director of the Ballet Frankfurt. After the closure of Ballet Frankfurt in 2004, he founded the Forsythe Company with the support of the states of Saxony and Hesse, the cities of Dresden and Frankfurt am Main, and private sponsors. The Forsythe Company is based in Dresden and Frankfurt am Main.